I am a Fine Art graduate of Wolverhampton University (1992) and Liverpool Polytechnic (1988). 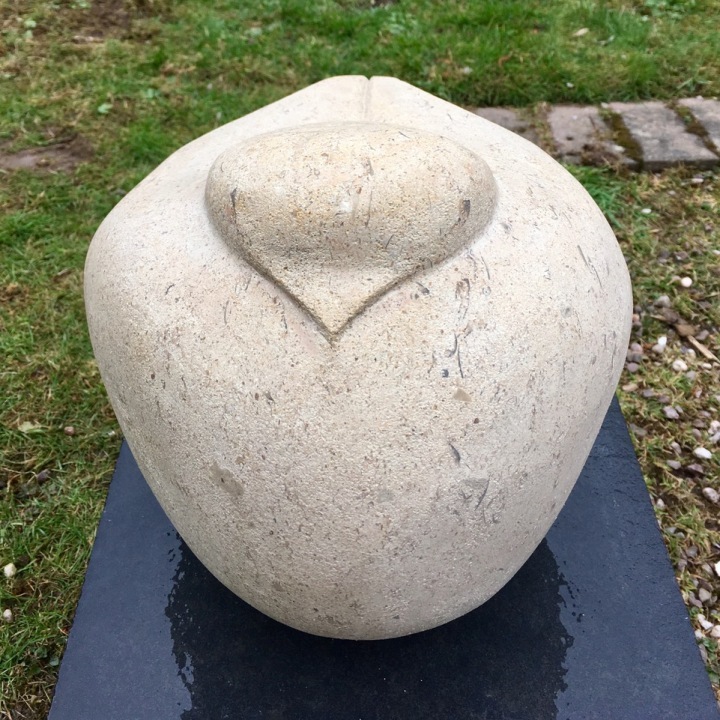 My stone carvings reflect the process – influenced by the natural world around me, I like to let the stone dictate the end result, bringing out surface patterns and fossil structures to enable it to stand as a form in its own right. As well as looking at form and shape in my sculptures, I love to experiment with colour on a 2-dimensional plane. Colour and mark-making take precedence in semi-abstract landscapes. My art reflects the things I love – the natural world, animals. I am currently running stone carving workshops and courses in the North West and Wales.